Clark’s lifelong experience with, and love of, Thoroughbreds have fueled her intense focus on intuitive transitioning and high-level training to give each horse the best chance of excelling in the right discipline and becoming a high-profile breed ambassador. Her goal is to change the way that horse owners and show-riders view Thoroughbreds. To achieve that goal, she starts each horse with ground-work and takes her time to see how the horses develop and what they enjoy doing. Because she knows the racetrack routine so well, she is particularly adept at working out those habits learned at the track that don’t sit well with adopters and with developing new routines that will serve the horses and their new owners well into the future. Clark has had remarkable success and has placed more than 1,000 horses. A significant percentage of them are competing at high levels in an array of disciplines. In 2012, she enjoyed the distinction of having one of her program horses, a 5-year-old mare Constant Star (Fantasticat), chosen by Olympian Beezie Madden and her husband John for their “High Performance Winners” program. The mare was one of two chosen from a field of 140 to train with the Maddens. TPR produced Rocky Times, aka Houdini, a Four-star eventer, Doctor James, a Two-star eventer, and Mystical Harbor, a National Level Dressage competitor, in addition to a number of AA level jumpers and other notable competitors. Clark’s current high performer is an unraced gelding, Mystical Harbor (Harbor Man), aka Fellow. He came to TPR after being retired from training to race and failing as a riding horse. Fellow and Clark have been invited to learn and perform among the sport’s greats including FEI Dressage Judge Linda Zang. Fellow is competing at third level and ready to go to fourth level. 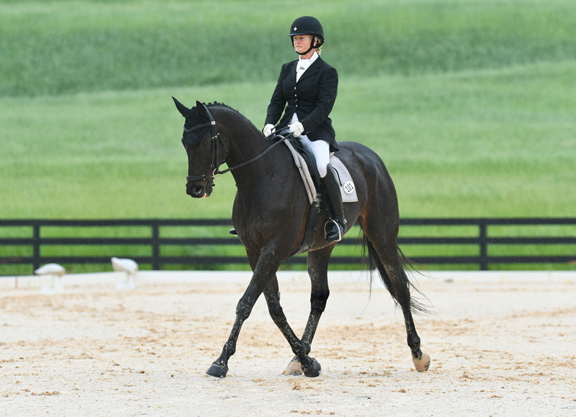 Clark credits a strong base in dressage training as a key to the success of all TPR horses. “Dressage gives them the strength and the skill that they need to carry a person at all gates and be balanced and confident while going slowly,” said Clark. “A horse is less likely to run away or keep speeding up more than we want when he is balanced and comfortable going slow. Over the years, Clark has also worked one-on-one with many of the most well-known names in the show jumping world such as the Maddens, Joe Fargis and Anne Kursinski, all of whom sing the praises of Thoroughbreds in the show ring and are willing to take on Thoroughbreds who show potential, when they can. But campaigning any horse is very expensive. Thoroughbred Placement Services is accredited by the Thoroughbred Aftercare Alliance and the Global Federation of Animal Sanctuaries. For more information, go to www.goodhorse.org. 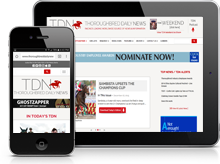 Diana Pikulski is the editor of Thoroughbred Adoption Network. For more information go to www.Thoroughbredadoption.com.